These carousel orchid pots are really neat. Having such a unique design, they allow for maximum root growth, improving the overall quality of your ephiphyte Phalaenopsis orchid. Comes in a variety of colors. What makes these pots unlike any others is their design. 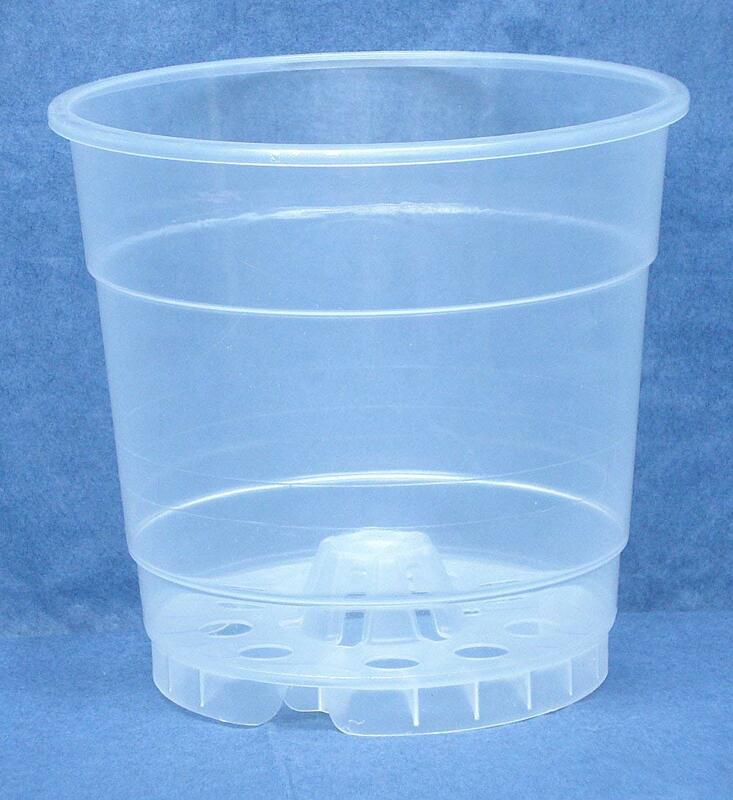 There are no horizontal bars, holes or other obstructions on the sides that prevent the roots from being lifted out of the pot. 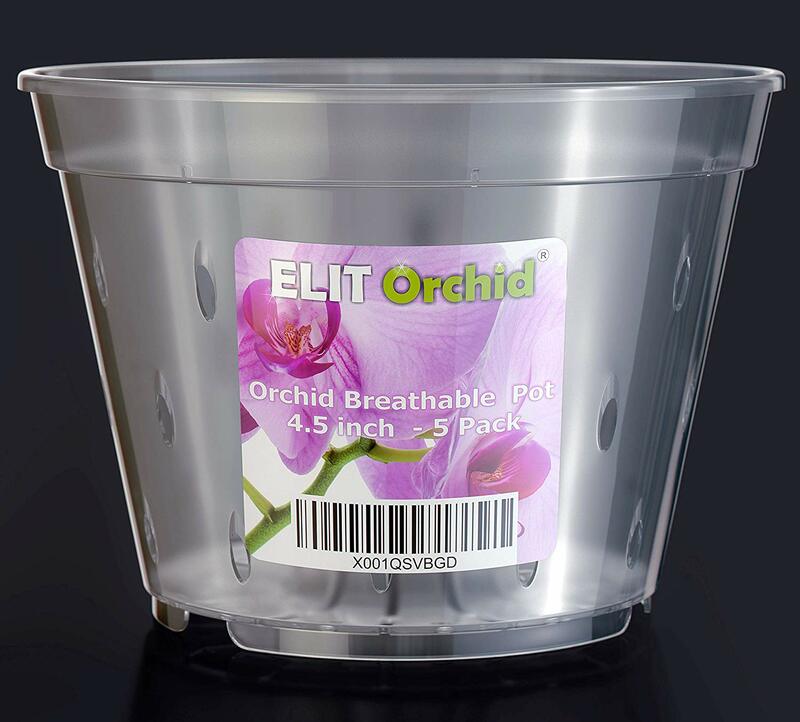 At 5.25″ in diameter it is a great size for many orchids and it comes with a detachable drip tray. The 47 upright tines are smooth rounded high quality UV resistant plastic and each one flexes slightly in any direction pushed. This means that the root system of the plant has the ability to expand in a way traditional pots won’t allow because their sidewalls won’t yield as the Carousel’s will. 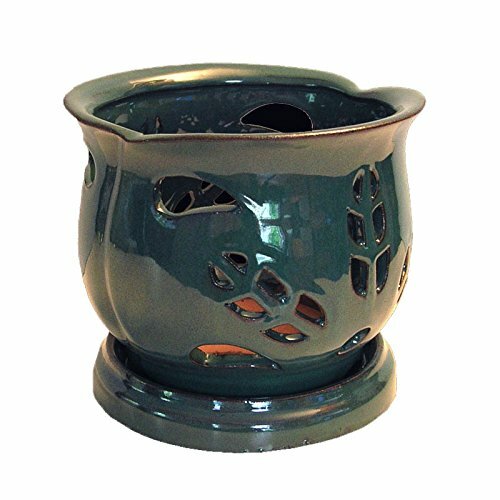 Maximum light transmission and airflow are a given with this extraordinary pot because there really are no traditional sides at all. The result is both a beautiful decorative pot that also serves to create the perfect growing environment. 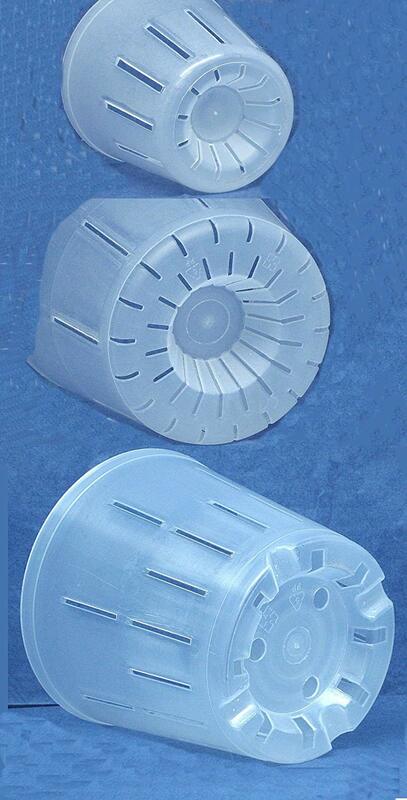 There is no need for clear plastic liners. The Carousel is available in eight exquisite colors from Pearl White to Purple Sapphire. 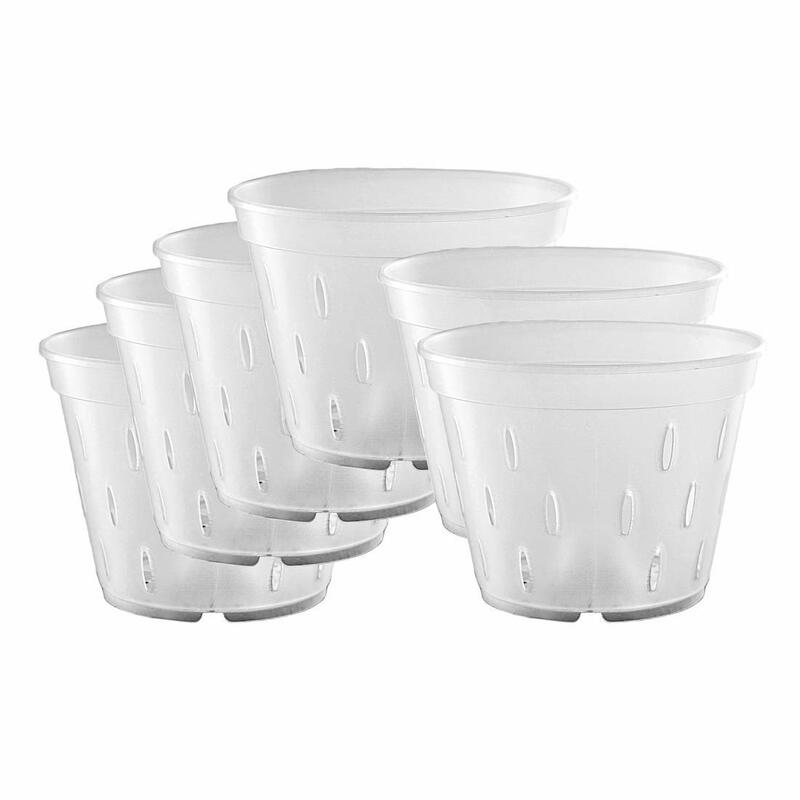 These are truly regal looking display pots and their functionality matches their beauty. Repotting is a breeze because the roots can’t get tangled and stuck in the pot! 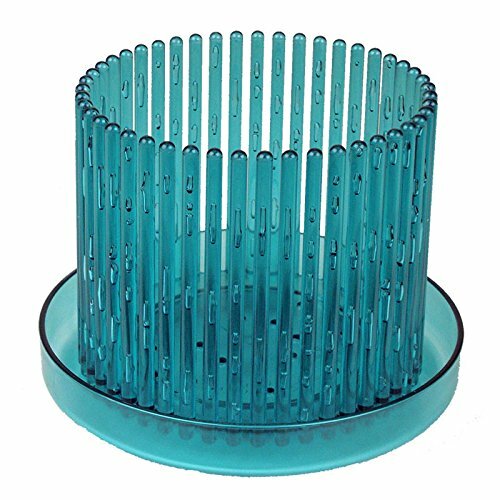 Drainage is unsurpassed by any pot because there are no sides and the base has 16 holes which are elevated above the included drip tray. 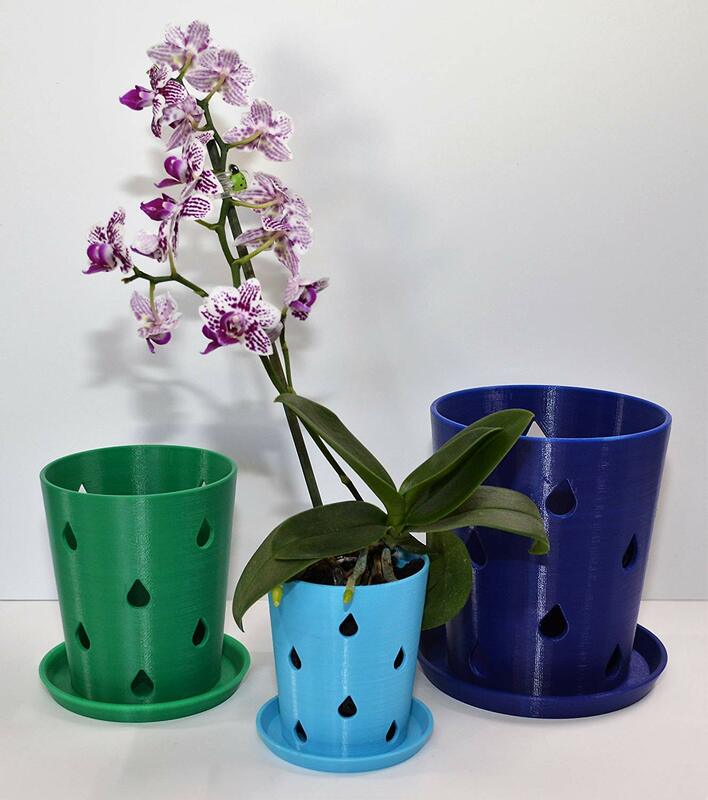 Designed and manufactured for rePotme in Germany, Carousel orchid pots are lighter weight than ceramics yet extremely stable on the wide and generous detachable drip tray. The colors are rich and saturated with jewel like facets incorporated into each flexible upright. Repotting couldn’t be easier, because the plant will simply lift out when the time comes! Roots can be adjusted or “braided” back through the uprights to prevent the protruding roots condition so common with Phals and other orchids as roots try to escape the pot over time.